Finding the perfect pair of goggles can be a little tricky, but fear not, goggles are fortunately less tricky than finding the perfect pair of sunglasses. The first obstacle you should be prepared to tackle is how many goggles you should own. The answer is at least four. If you are committed to only open water, or only pool water you can get away with owning three. One should be your perfect pair for open water, one should be your perfect pair for swimming pools, and the other two should be acceptable back-ups. 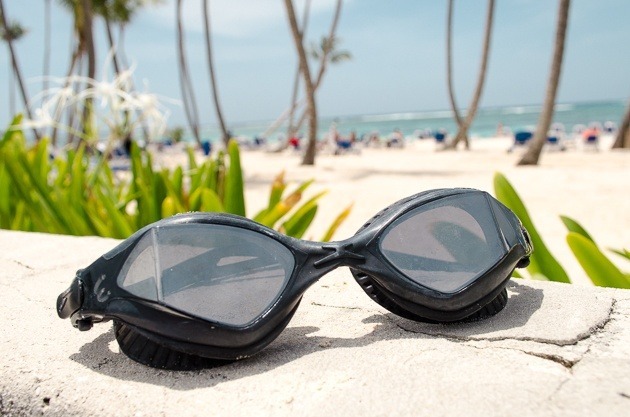 If you are going to a race; pack your perfect pair, an acceptable back-up, and a pair of good deed goggles just in case another swimmer is in need. There are two different ways typical goggles will fit your face, and your choice depends on what makes you the most comfortable. One fit is where the gaskets will rest against your bones and the other fit is where the gaskets will rest in the eye socket area. The goggles that rest in the eye socket area will be face suckers, but most people say that they are more comfortable. Again, this is preference to you, so feel free to choose either. When it comes to open water swimming, you should consider getting two different types of goggles. If the sun is high in the sky, or even just glaring, you want to choose your darker tinted goggles to help you see better and reduce the amount of glare from the sun you get, kind of like sunglasses. When the clouds are out and no sun is to be seen, consider wearing a color-tinted goggle like the color blue. The colored pair of goggles will make obstacles clearer when the sky is not clear. As far as tint goes in indoor swimming, party it up. Freedom of choice in tint of goggles reigns here. Clear goggles work here too, it all depends on preference. If your indoor pool has bright lights shining down on the water, I’d recommend some sort of darker tinted goggles to help reduce glare. There are a few features of goggles to consider before diving in and buying your first pair. Features are broken down into where you are going to wear your goggles. For open water, there are arguably two best features to look for in a pair goggles. The first is anti-fog. Anti-fog treatment on goggles helps prevent fog from building up on your open water swim. I don’t know about you, but I don’t like swimming in the ocean without visibility due to my own goggles fogging up. The anti-fog treatment on goggles will only last if you take care of your goggles, so avoid touching the inside of the goggles. The other best feature for open water goggles is a double strap design. The double strap design makes it harder for another competitor to accidently kick or punch your goggles off of you. This may not seem like a huge deal at first, but if you’ve had your goggles kicked off and salt water in your eyes it becomes a lifesaver. Another feature some goggles offer that you should keep in mind is UV protection. 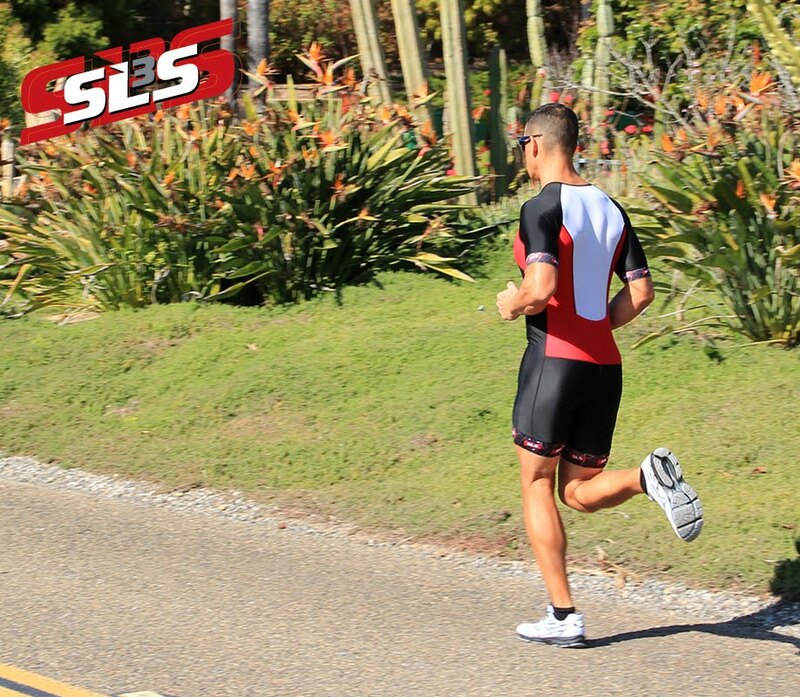 If you are outside, you are getting hit by UV rays, protect your eyes like you do on the bike and run portion. Features for goggles are mostly made for open water swimming, so there is more freedom for choice for swimming in pools. It’s best if you can find a pair of goggles that fit you comfortably and have reduced drag. Durability in pool water is something to keep in mind. Plastic gaskets, or the method of water tightness in goggles, is the best way to go if you are in chlorine treated waters. The gaskets made with silicon or rubber will wear away. This isn’t an ultimate deal breaker, since a decent pair of goggles is fairly cheap, but it is something to consider. Maybe you’ve done your best to keep the anti-fog coating on your goggles, but you are still experiencing the dreaded fog. There are a few solutions to help clear up your goggles. Rub a little bit of toothpaste inside your goggles and wait. Then after a few minutes wash out the excess, mostly so you don’t get mint burning in your eyes. This will help create a coat in your goggles to decrease condensation from forming, eliminating the fog problems. Although they are not the most expensive pieces of gear in your bag, it’s nice not to replace them every month. To get the most out of your goggles, wash them in cold water after every single use. Let them dry naturally by hanging them somewhere out of sunlight, but with plenty of airflow. Pools degrade rubber and silicon so make sure to be extra vigilant in washing your goggles after your swim in chlorine. Once you have selected your pair, or pairs depending on where you swim, it’s time for the best part. The actual swim! Putting your goggles to the test can tell you a lot of information about what you like and don’t like in a pair of goggles.